We are providing Land Survey Service to our client. We locate the alignment for pipelines, roads, transmission lines, and canals by conducting Detailed Topographical Route Land Survey Service. The existing or proposed structures and sectional profile can also be laid, strengthened and widened with the help of the information collected from these surveys. Such information proves vital in designing a particular structure after the practical feasibility have been considered. Permissions can be gathered from concerned authorities regarding NH, canals, railway, SH, and forest by providing exact data received from these surveys. Topographical Survey is carried out to determine the characteristics of the details found on the surface of the earth like (building, compound wall, roads, Nala, drain, pole’s, tree, boundary, canals etc) and based on these inputs topographic maps are prepared. In continuation to this Contour, the survey is carried out to find out the volume of soil compute cutting filling quantities; these maps are used in the planning stages of projects to help to design the layout and locations of the building, parking, roads, etc. 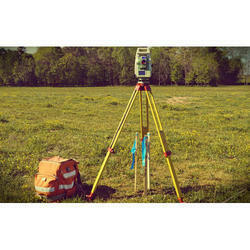 Our organization carries out Building Land Survey Service for pre-construction and post-construction activities. The locations of the ground are marked according to the drawing. 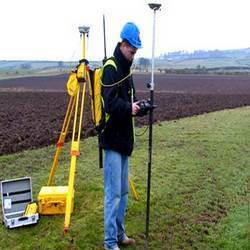 We have a team of expert professionals, which are involved in Land Survey Service using the latest technology. Our services are rendered to the clients at cost effective prices. 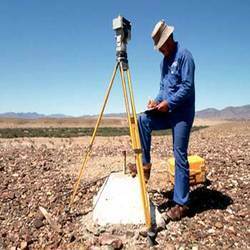 Our organization is a foremost name in the industry, engaged in offering a wide assortment of Land Survey Service to our clients. These services are rendered by our experienced professionals using only high-quality survey tools within the committed period of time. Further, these services are offered as per industry standard to cater to the client's requirements at very reasonable rates. In order to cater to the client’s needs, we are involved in offering a technically advanced array of Topographical Land Survey Service. These services are rendered using high-grade quality materials under the direction of experts. Apart from this, these services are used to identify the volume of soil computing cutting filling quantities and offered as per industry standard to cater to the client's requirements.